Some clauses proposed in amendments to the National Land Transport Act could put Uber drivers at risk, Alon Lits, the e-hailing service's general manager for sub-Saharan Africa has warned. 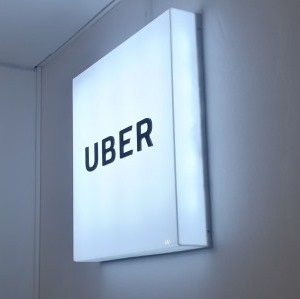 Uber on Monday issued a statement raising its concerns over the proposed amendments to the bill, which is currently before a committee of the National Council of Provinces for consideration. Once adopted it must be signed by the president. Uber said that clause 66(7) of the bill, which deals with e-hailing applications, may have shortcomings. The clause prohibits those who do not have a valid operating licence from using an e-hailing application. Failing to abide by this makes e-hailing companies like Uber liable for a R100 000 fine. Lits said drivers are also subject to the fine and could face two years imprisonment. He said there are delays in issuing permits to drivers. “The permit-issuing systems and processes of many of South Africa’s major municipalities are flawed and this has resulted in massive application backlogs and delays of up to 18 months in the issuing of operating licences,” said Lits. Uber wants the implementation of the clause delayed until issues in the permit-issuing systems are resolved. The majority of Uber drivers have applied for operating licences, but have not yet received permits due to delays by municipalities, the e-hailing company claimed. “Even in cities where permits are still being issued, the process is being massively delayed, because of the combined negative impact of huge backlogs, constraint resources and permit-issuing systems that simply don’t work,” said Lits. Lits said this clause could affect job opportunities and the livelihoods of those dependent on the e-hailing industry. Uber suggested that drivers be allowed to operate legally if they have submitted compliant applications and keep receipts, in the case of permits not yet being issued by the municipality. Using receipts as a substitute for a licence is accepted practice, Uber pointed out. Drivers who have submitted renewal applications are allowed to operate on the basis of their receipts, the company said. Uber has also requested that the transport minister reconsiders the requirement for e-haling vehicles to have special markings to identify them. Last year former transport minister Joe Maswanganyi introduced the amendment to have e-hailing vehicles clearly marked on roads. But Lits raised concerns over the safety threat this poses to Uber drivers, who are still being intimidated. “Uber drivers are still experiencing very high levels of intimidation and even violence from some other transport industry participants and we are concerned that insisting on identification markings on vehicles could result in an increase in these targeted attacks,” Lits said. “We are requesting that the Transport Ministry considers delaying this particular provision until such time as the violence and intimidation cease,” he said. Uber also requested that the department reconsiders the power given to licencing authorities to determine the locations or zones in which e-hailing vehicles are allowed to operate. “This provision does not take into consideration the changes in the ways in which both metered taxis and e-hailing vehicles operate today. “The legislation needs to recognise and reflect these changes rather than limiting the ability of drivers to pursue fare opportunities that are closest to their immediate location, wherever that may be,” the statement reads.